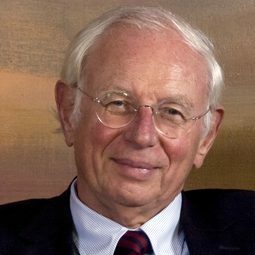 Prof. Dr. Klaus Scharioth | Harvard GAC e.V. Prof. Dr. Klaus Scharioth is Dean of the Mercator College for International Affairs in Germany and Professor of Practice at The Fletcher School. He was a member of the German Foreign Service for more than 35 years (1976-2011). He served from 2006-2011 as German Ambassador to the U.S. and from 2002-2006 as State Secretary of the German Foreign Office. Before that he was, inter alia, Political Director and Director-General of the Political Department, Director of the North America and Security Policy Directorate, Head of the Office of the German Foreign Minister, Director of the Private Office of the NATO Secretary General, as well as Vice Chairman of the UN Legal and Charter Committees. He also served in Ecuador, the International Law Division, and the Policy Planning Staff of the Foreign Office. Scharioth studied law in Bonn, Geneva and Freiburg, as well as international relations, international law, international finance and economics at the Fletcher School of Law and Diplomacy, Harvard Law School and the John F. Kennedy School of Government and holds M.A., M.A.L.D. and Ph.D. degrees in addition to the German Law Degree.